Today we're back with another installment of The Thirst. The four months since the last one have simply flown by! Naturally over these four months I've collected quite few articles that I've found and that you guys have sent into me. I've got far too much for one post - so if yours isn't in this lot, it very may well make the next post! These list articles always generate plenty of conjecture amongst the beer community. I regularly talk about the significance of some of the pioneering beers of the Australian craft beer scene and thought it would be fitting to post this piece talking about the craft beer scene that inspired our own. I stumbled across this piece from Beerism a little while ago. I was really taken with the layout of the post and particularly the photo's that were accompanying the post. This piece takes you on a journey through 6 vintages or incarnations of the wonderful Dieu du Ciel Peche Mortel - a massive Imperial Stout! I really enjoy doing vertical tastings and have a couple of different vintages of various stouts aging in the beer cupboard - maybe one day you'll see a post along similar lines to this on Beer O'Clock Australia. The story of two brothers attempting to grow hops in the inhospitable conditions of Thailand and the challenges they face. It also provides interesting information regarding the brewing regulations in Thailand, which I had very little idea of. It's always good to see craft beer taking off in new markets and this, if they succeed, can only help the scene in South East Asia. Love it or hate it; Untappd is the biggest beer rating network in the world. Accordingly the data acquired from it can be of significant interest/value. This map contains the highest rated breweries from each country. The usual suspects are up there; Cantillon from Belgium, The Alchemist from the U.S.. A bit closer to home Liberty Brewing took out New Zealand's title while Brewtal Brewers, a Brisbane based brewery that I know very little about, took out the Australian title from Pirate Life in second place. When I traveled through Estonia a couple of years ago there were hints that craft beer was starting to take off. I found it quite hard to find Estonian craft beer with Finnish beers far more readily available. It's good to see that their own craft scene is finally taking off; I tried one of Põhjala's offerings the other day, which was pretty good and that I assume was distributed through collaborator To Öl's distribution network... Hopefully I'm wrong and we see more Estonian craft beer downunder! This book was everything I'd hoped it would be! 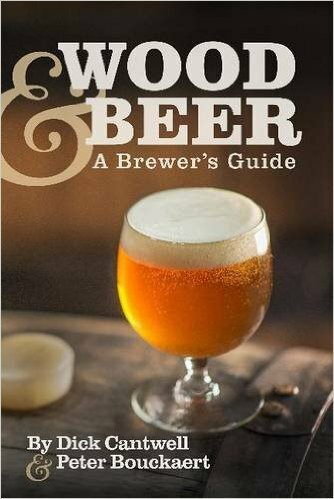 Written by two of the beer worlds most respected figures, this book covers everything you can possibly imagine about about wood and it's relationship with beer. From the history of why beer and wood came together, through the microbiological changes that wood can have on beer to the maintenance required to keep wooden barrels in optimum conditions to enhance beer. If you're a beer nerd, this is a fantastic read! As it's been so long I'll leave you with another couple of bonus articles. First, a state by state look at the American craft beer scene in numbers (link). Secondly, a graph that's usefulness I'm not sure of - but it is cool (link). The Beer Healer's look at mid-strength beers is an interesting read (link), whilst I'll leave you with this piece about Melbourne's craft beer pioneers, Mountain Goat, from Good Beer Hunting (link).